Results in superior portability, perfect for on-site data deletion, copy and backup. Capacity of target HDD is identical to master HDD. This function can be disabled. Realizes high speed data transfer at 8.5GB per minute. High speed data transfer at 8.5GB per minute*. Used area analysis, copy & compare only for used area available. Deletion and quick diagnostic functions installed. Supported Interfaces: SATA/ATA * ATA requires conversion adapter (optional product). Write protection function to protect important data is installed. Data can be protected from erroneous writing. High speed transfer thanks to USB 3.0 connection. Easy HDD attaching and removal thanks to one-touch docking. 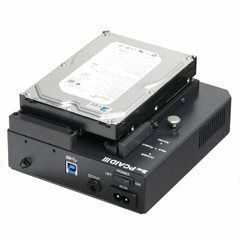 Data can be backed up and restored from HDD connected to a PC by using software sold separately (Disklosure). Backup data of multiple computers can be stored in one PCAID III by using software sold separately (Disklosure). SATA 6.0 Gbps supported. Up to 144PB HDD is supported. Operation modes can be registered and edited using script files in text format. More accurate inspections can be performed using various types of inspections. Provides high speed data transfer at 37GB/minute. Equipped with overwrite deletion using specified values and DoD (Department of Defense) conforming deletion method. Quick inspections such as SMART status, random seek inspection, entire area read/write inspection can be performed. 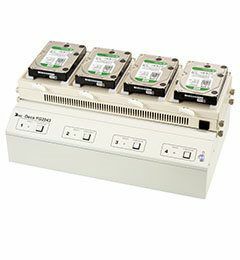 HDDs connected to each port can be executed, terminated, attached or removed individually. Quick inspections such as SMART status, random seek inspection, entire arearead/write inspection can be performed. Insertion jig & fans included. 4 copy modes available to meet different duplication task requirement. Automatically skips blank area, reduces wasted time and increases the work effeciency. Quick copy supports MBR, GPT, NTFS, Linux (ext2/3/4), Mac(HFS, HFS+, HFSX), and FAT16/32/64 formats. Complies with U.S.A department of defense 5220.22M data erase standard. It will overwrite HDD 3 times , to make sure the data can not be recover. Each ports has 3 color indicators. It shows the real time status. 1. Supports 2.5", 3.5" SATA/SAS HDD & SSD without adapter. 2. 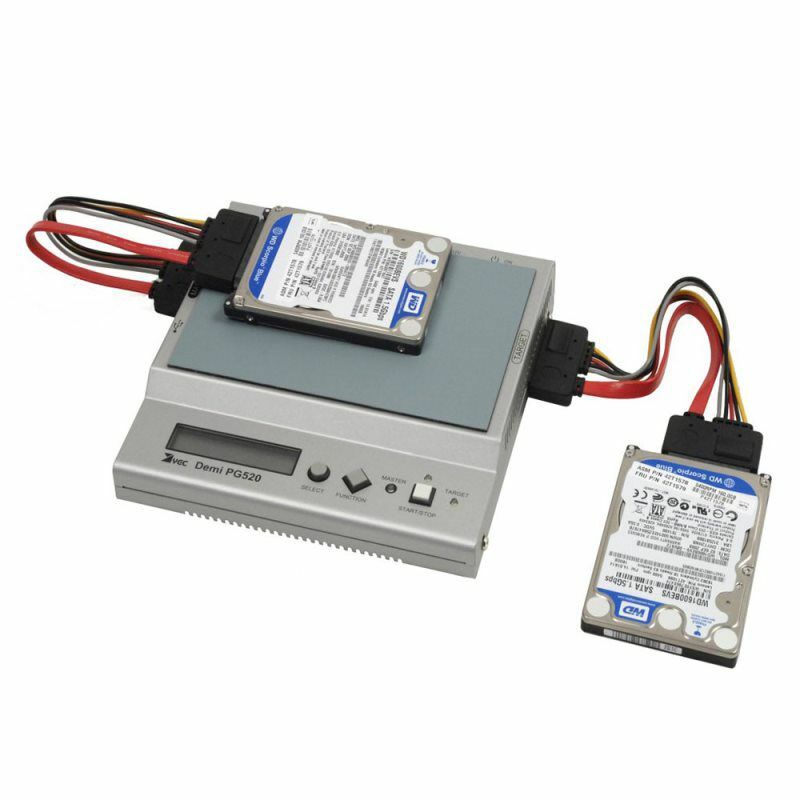 Supports IDE, mSATA, SATA DOM, eSATA, iVDR, M.2(NGFF) and MicroSATA with additional adapter. The tool is developed by a team of industry renowned data recovery engineers in collaboration with law enforcement agencies and forensic experts from around the globe. All features of the system are designed to support damaged media. 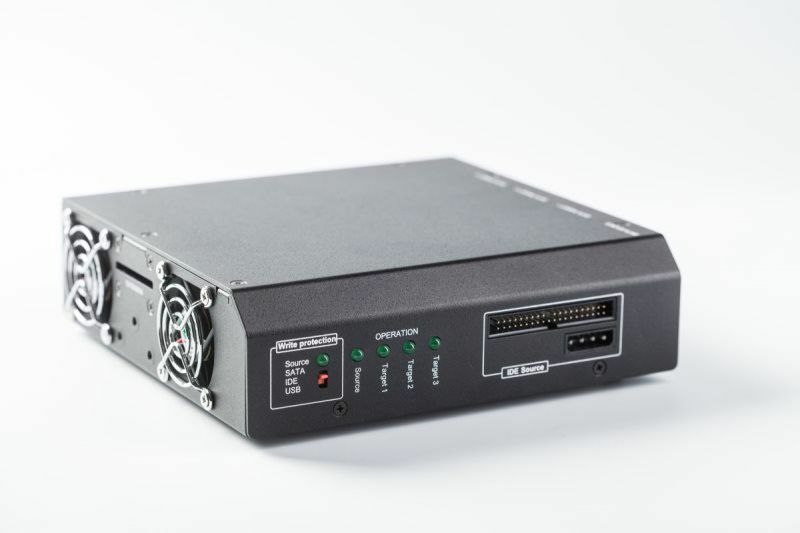 Where other Forensic data acquisition products stall or abort on media errors, Insight Forensic can acquire a usable image.When dealing with good (non-damaged) media, Insight Forensic acquires data faster than any other data acquisition equipment commercially available. A successful acquisition job starts with accurate diagnosis of the media. 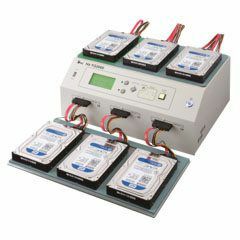 The Insight Forensic is the ONLY product in both data recovery and forensic industries with the ability to accurately evaluate a hard drive’s health and pinpoint specific problems. This feature puts our users at a major advantage by enabling them to take all factors into account before moving forward with data acquisition. The system properly recognizes locked hard drives and allows for a fully automated extraction or removal of an unknown ATA password with a single click of a button. 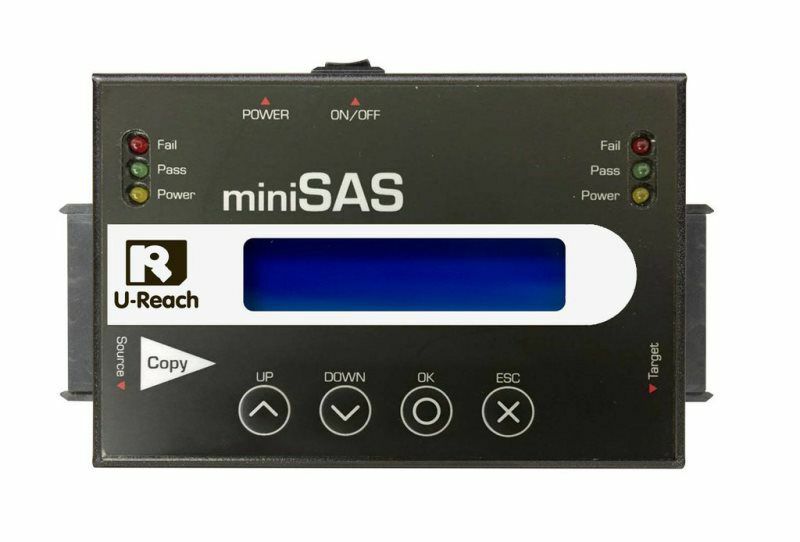 When a hard drive is experiencing firmware problems, it is not usually accessible using conventional data acquisition tools or imaging utilities. The Insight Forensic recognizes firmware corruption using its advanced diagnostic module and repairs it with the click of a button for supported HDD models. For non-supported HDD models, the Insight recognizes firmware corruption and provides direct access to firmware files (modules), enabling expert technicians to manually repair the corruption. Extracting every fragment of data from hard drive is a crucial part of the data acquisition process. 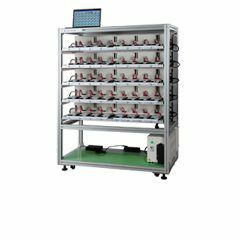 The Insight’s duplication/imaging system allows the user to completely customize the imaging process to suit each job, even when dealing with damaged or unstable media. File recovery is the last phase of most data acquisition jobs. The Insight’s file recovery engine is simple, intuitive, and effective. 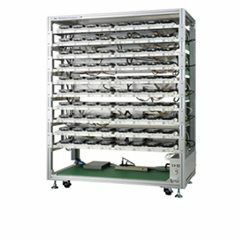 It integrates seamlessly with Disk Duplication and Case Management systems to effectively extract data. Insight Forensic automatically removes ATA passwords from hard drives in just 2 minutes. This highly complex feature can be executed by the operator with one click of a button and the password is displayed after it is removed whenever possible. Insight Forensic comes equipped with a range of utility features for each step of the data acquisition process. These features include device configuration for modifying hard drive parameters, HDD current monitoring for continuous diagnosis, a disk editor for modifying hard drive data, and an add/remove password function. Insight Forensic is the only data recovery product that was built with case management in mind. All functions are tied in to one-another and the system tracks and records every action taken with a given hard drive. If a session is stopped and the hard drive is disconnected from Insight and then later reconnected, the system will recognize the hard drive and give the operator the option to re-open the case.